Battle Ground Academy, Franklin, Tennessee. 1980-1984. Graduated with honors from strong college prep academy. Auburn University, Auburn, Alabama. 1984-1987. Bachelor of Arts, Political Science and Photojournalism. Perfect 4.0 GPA last 2 semesters. Horse and Field Sports editor, special section editor, business writer, columnist: Times Community Newspapers (20 weekly papers in Northern Virginia with nearly a million in paid subscriptions) – 1990-present. National Turf Writers Association, 1994-present. Three times nominated for annual Eclipse Awards. Suburban Newspapers Association, 1994-present. Multiple writing, editing awards, such as 2001, 2003, 2006 Best Sports section, SNA. 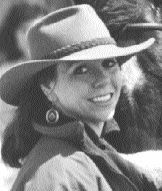 Freelance writer published in many daily, weekly and monthly publications such as The Washington Post, Thoroughbred Times, The Times-Mirror, Chronicle of the Horse, Mid-Atlantic Thoroughbred, Equus, Covertside, Horse Country Magazine, etc. Graduate United States Pony Club. Licensed steeplechase trainer, jockey: National Steeplechase Association. Licensed trainer, Virginia, Maryland, Pennsylvania, Delaware. Champion event rider: United States Eventing Association. Champion steeplechase jockey: Midwest Hunt Race Association. 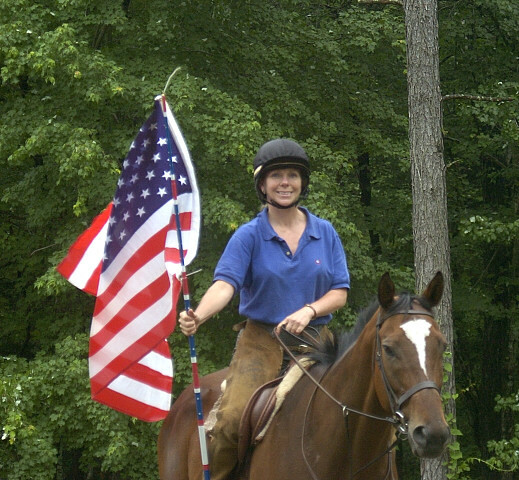 Certified riding instructor: Riding Instructor Certification Program. 4-H club ‘Horse Judging Team’ national champion. Own and operate successful, profitable training-boarding-breeding-lesson-instruction-competition-camp school-sales stable, Hunter’s Rest. Since 1990. Have trained multiple regional champions in a variety of disciplines, including steeplechasing, foxhunting, judged trail competitions, showing, three-day eventing. Novice steeplechase jockey championships, 1983, 1984. Novice hurdle horse championship, 1988. ARCA/Fegentri “international team member” 1988, 1989. Trained Virginia Point to Point Steeplechase Association Hurdle Horse of the Year 1994, 1997. Trained VPPA Timber Horse of the Year 1997, 2004. National Top Five U.S. Eventing Association, training level, 1998. National Champion, U.S. Pony Club, Individual and Team gold medal winner, training level, 1983. Crystal Crown Champion, judged pleasure riding, Virginia, 2000. Reserve champion, 2002, 2003. Have owned, raised and trained horses for all of my 43 years. My parents were-are both horse professionals as well. Own and operate a ‘horse’ bed-and-breakfast-and-barn that attracts clients from across the U.S. and from around the world. Guests select Hunter’s Rest due to my reputation and lengthy experience in a wide variety of horse breeds and disciplines. Have years of experience on the racetrack, breaking and training horses for stables such as Claiborne Farm in Paris, Kentucky, the Kentucky Training Center, equine veterinarian Dr. John Griggs in Lexington, Kentucky, Paul Mellon’s Rokeby Farm in Upperville, Virginia and others.